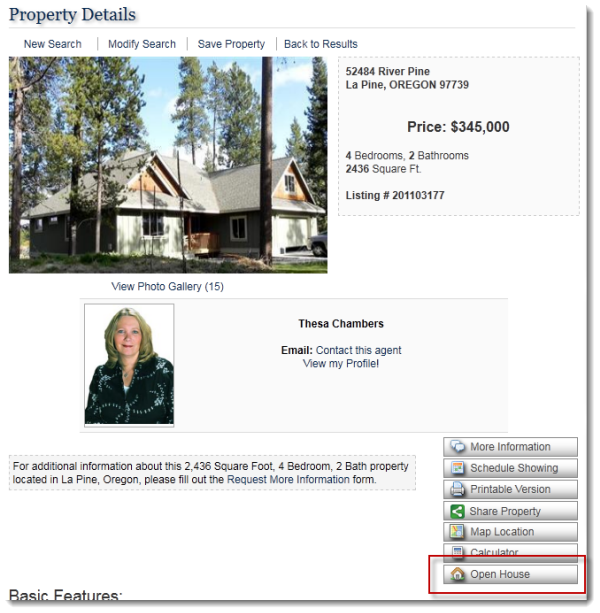 You can easily add open house information to your Featured Listings in IDX Broker by clicking the Listings button, and Active in the submenu. Open houses are listed in the "OH" column. To enter in a new open house, click the number under the OH column for the listing with which you would like to work. A pop-up box will appear where you can enter information about the open house. 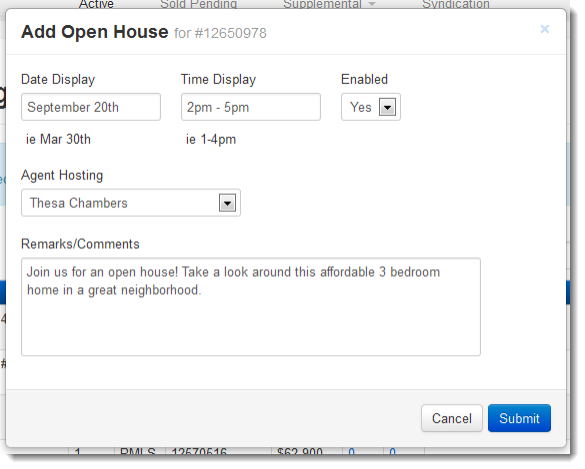 Set the Enabled option to YES, and enter in the date and time for the open house. If have an IDX Broker Office Account, you can also specify the agent who will be hosting the open house. You can also enter in any comments. When you are done, click Submit. Note: Please use 12 hour time, such as 2-3pm, as the system will not recognize 24 hour military time. You can view the open house information on a listing by viewing it's search results or property details IDX page. Note: In many cases, an open house may be automatically linked to a property by the MLS, requiring no action on your part.